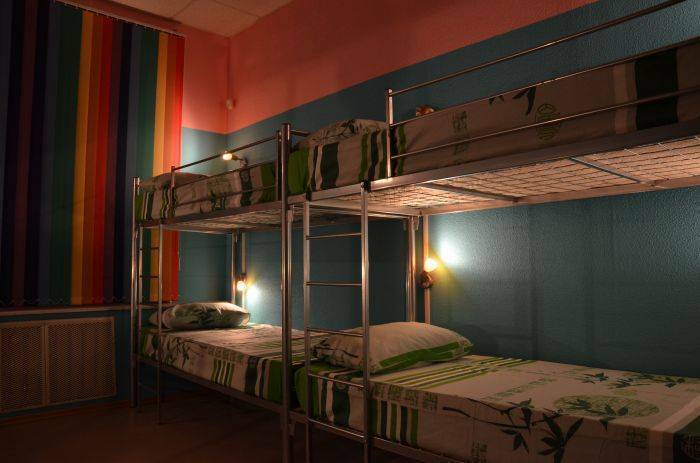 Rainbow Hostel is specially for people of different nations, colors and cultures and where everyone will feel like home. It is surely a melting pot in the historical center of St. Petersburg. 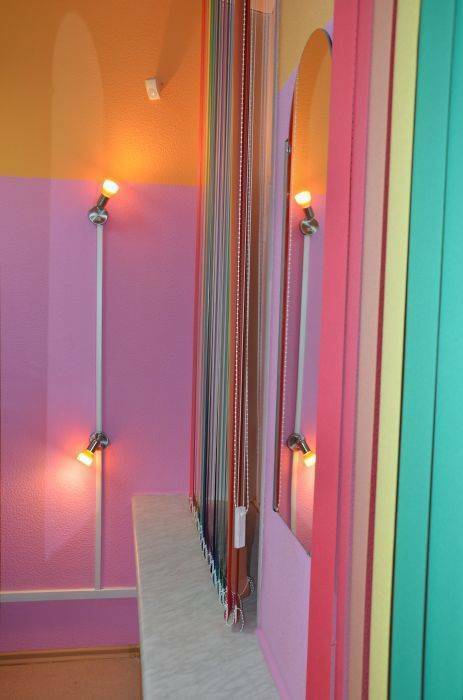 It was designed considering the tastes and 'first-of-all" needs of people who travel on light. Rainbow Hostel occupies ground floor of the building which was the first one built in Saint Petersburg in Art Nouveau style by famous Russian architect Baranovsky in XIX cent. We have 5 bedrooms, kitchen with all facilities available, business center with 4 desktop computers, washing machine, iron with ironing boards, 3 toilets and 3 shower rooms, TV. 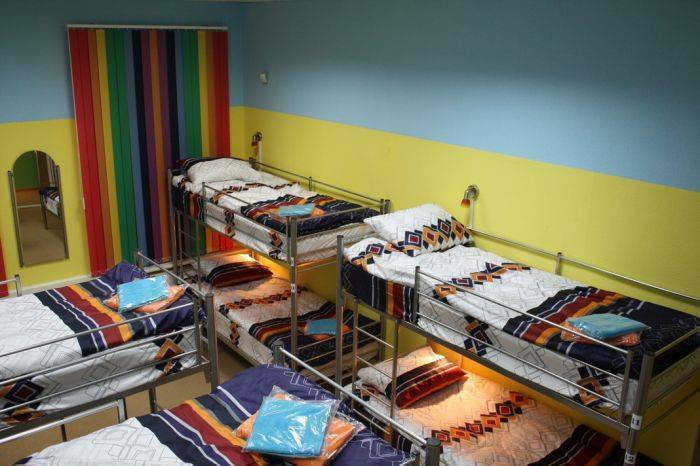 Facilities like WiFi, Parking Lot, towels, beddings, First Aid Kit, computers are free of charge. For our customers who are in business we have printer, copy machine, scanner and fax available. 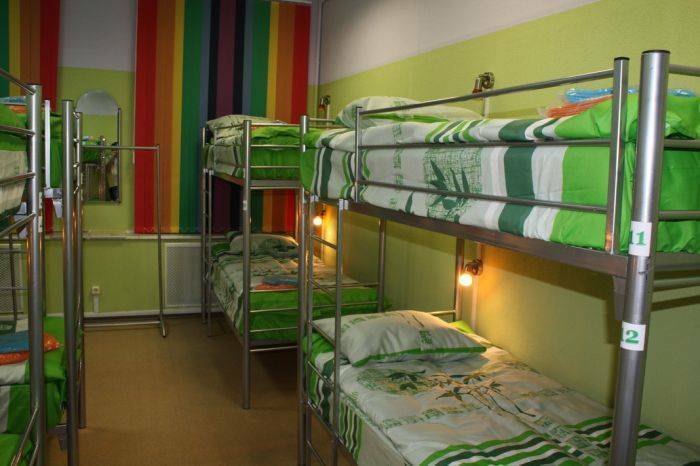 Rainbow Hostel is located in Dostoevsky Str, famous historical district with architectural and historical monuments. Vladimirskiy Square with Cathedral and Bell Tower is in 7 minute walking distance, the House-Museum of Fedor Dostoevsky - the famous writer, the Author of "Crime and Punishment" is only 500 meters from us. Historical Kuznechniy Market is also in 7 minute walking distance. Nevsky Avenue - the Main Street of St. Petersburg of is also located in 12 minutes walk. 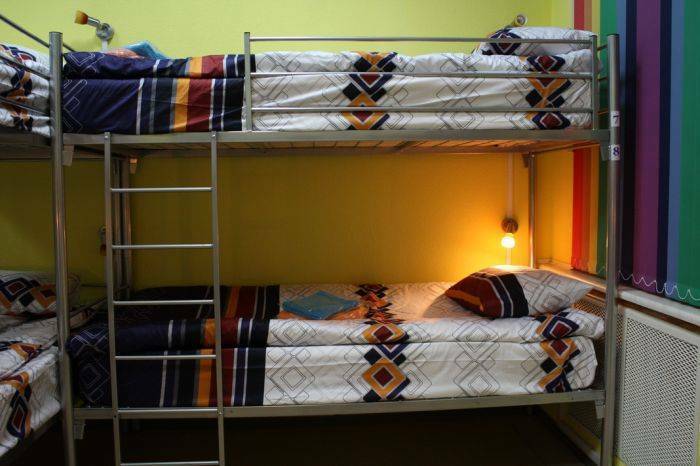 The location of Rainbow Hostel is ideal for any kind of traveller and customer. It is located in a walking distance and right in the middle of four Metro Stations: Vladimirskaya, Dostoevsky, Ligovskiy Prospekt and Zvenigorodskaya; being located near Vladimirskiy Avenue it is very easy to reach us on foot. From Pulkovo Airport there run shuttle buses and marshrut taxies to Metro stations Moskovskaya, Sennaya and Vladimirskaya. 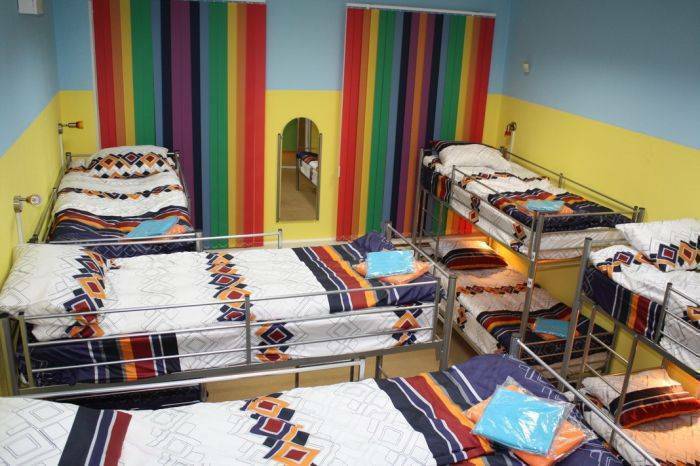 Dorm type bedrooms in Rainbow style with bunk-beds, mirrors and hangers. There are 3 sizes, for 8 people, 10 people and 12 people. Visa, MasterCard, VTB24, cash. Prepayment or payment on check in. Cancellation of booking 48 hours before the check in time. If you are using Metro, coming out at Vladimirskaya or Dostoevskaya Stations, head on to Kuznechnaya Str., after 150 metres turn wright to Dostoevskaya Str., go straight about 550 metres and here we are on the left. Our building is the only one with bands of balconies on upper floors. If you are coming out of Ligovskiy Prospekt Metro station, cross the Ligovskiy Avenue and head on to Raz'yezhaya Str, after 515 meters turn left to Dostoevskaya Str, another 120 metres and you are here! being located near Vladimirskiy Avenue it is very easy to reach us on foot. From Pulkovo Airport there run shuttle buses and marshrut taxies to Metro stations Moskovskaya, Sennaya and Vladimirskaya.